If there’s one thing that brings instant joy to the Ear of Newt it’s the sweet, sweet tone of Duane Allman’s slide guitar. 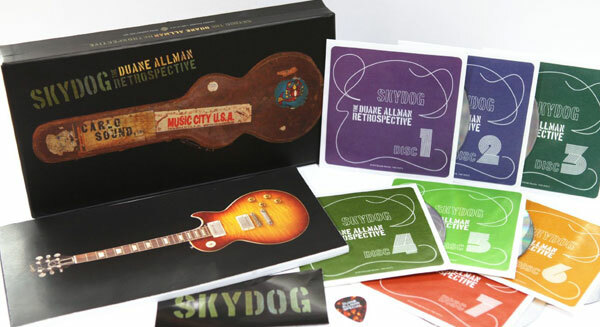 And fellow Allman freaks can hear an awful lot of it–129 tracks’ worth, to be precise–when Rounder Records releases Skydog: The Duane Allman Retrospective on March 5. This seven-CD set, produced by Duane’s daughter Galadrielle Allman and esteemed reissue producer Bill Levenson, shows the full breadth and depth of Duane’s work, from early recordings (with Gregg) in bands such as The Escorts, Allman Joys and Hour Glass; to his studio work with Aretha Franklin, Wilson Pickett, Boz Scaggs, Delaney & Bonnie, Ronnie Hawkins and many others; to a live jam session with the Grateful Dead. The set includes several unreleased performances, many classic Allman Brothers songs, and a collector’s cache of rare singles and long out-of-print album tracks. 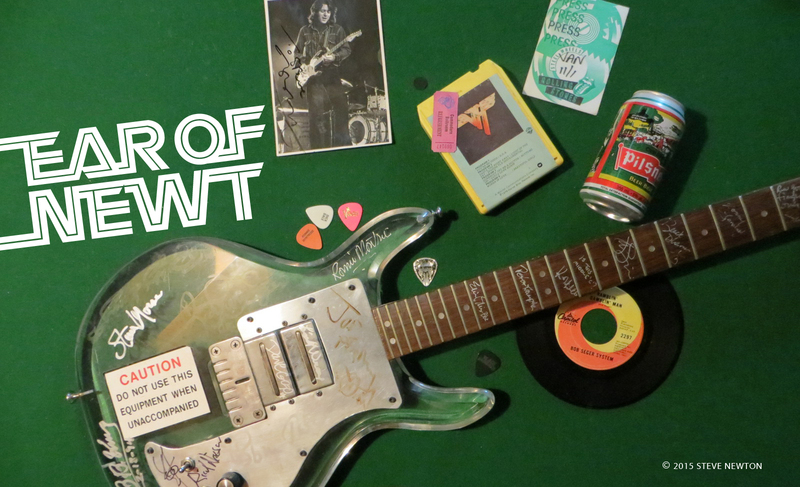 Also included are a 72-page book with essays by Scott Schinder and Galadrielle Allman, many rare photographs, a replica of Duane’s guitar pick, and a Skydog sticker. Numbered limited edition of 10,000. Okay, okay–I’m sold already. And if I weren’t, this here video would seal the deal.